Trading ”bad doctor” stories has become standard fare among friends and colleagues. Last summer Dr. David C. Arndt made national news for leaving a patient on the operating-room table while he went to the bank. His medical license has been suspended, but – judging from the stories I hear – arrogance and insensitivity remain all too common in the field. To be sure, most of the frustrations that patients voice are just that: annoyances, not matters of life or death. Yet the dismissive attitude that some doctors exhibit toward their patients poisons the trust that is an essential ingredient of a healing relationship. Her writing tumbles forth with color and emotion. She demonstrates an ear for dialogue, humility about the limits of her medical training, and an extraordinary capacity to be touched by human suffering. 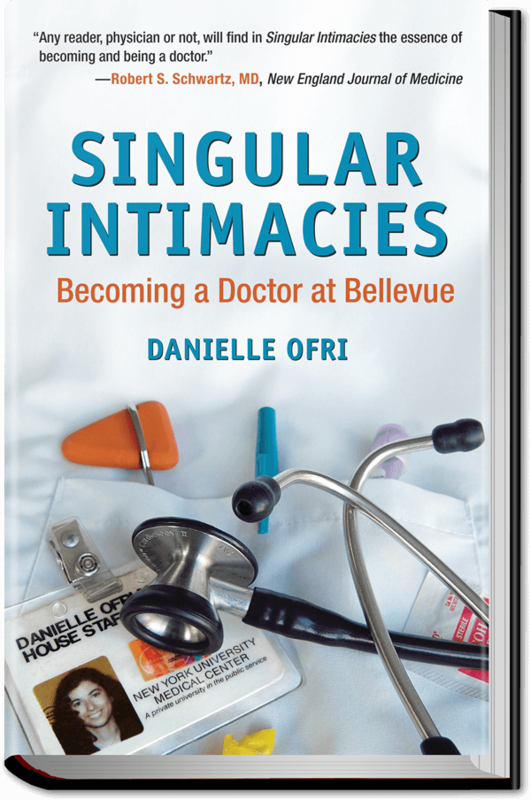 Ofri’s career is a curious mix of the medical and the literary. She is an attending physician at Bellevue Hospital in New York and cofounder and editor-in-chief of the Bellevue Literary Review. Her new book is made up of 15 essays. In ”Singular Intimacies,” Ofri writes about the difficulties of finding patients’ veins and thinking straight after a night of little sleep. What’s most compelling are her patients and her ruminations about them. Take 50-year-old Margaret Whitney, who went into cardiac arrest while visiting her daughter. ”For her brain, the thirty-minute resuscitation had been twenty-six minutes too long, Ofri writes, and Mrs. Whitney is now in ”a persistent vegetative state.” She contrasts Mrs. Whitney’s experience with that of Josh, Ofri’s childhood friend who died at age 27 of a congenital heart defect after collapsing at the beach. In ”The Professor of Denial,” Ofri ponders the motivations of a patient who refuses tests, meals, and discussion of his health. The doctors feel certain he is in the end stages of some kind of cancer. Ofri eventually realizes her cantankerous patient may have chosen quality of life over quantity. 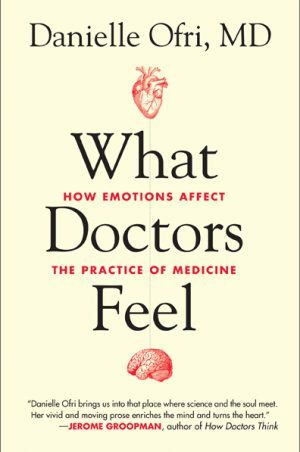 Ofri’s book is an important addition to the literary canon of medicine. Last year Atul Gawande’s ”Complications: A Surgeon’s Notes on an Imperfect Science” broke ground by reporting on mistakes doctors make. Some patients may not be ready for a doctor as emotional as Ofri. In ”Merced,” published first in ”The Best American Essays 2002,” Ofri misdiagnoses a young woman and weeps with the family as the patient lies dying. ”I cried for the death of my belief that intellect conquers all,” she writes. Two years later she is still trying to figure out what killed that woman. For all the machines and knowledge, medicine frequently falls short. At those times, bearing witness and acknowledging one’s powerlessness to do more is the best a doctor can do. This story ran on page D8 of the Boston Globe on 5/7/2003.